Life After Midnight: Seperated At Birth | Mariano Rivera and Scott Sasso? 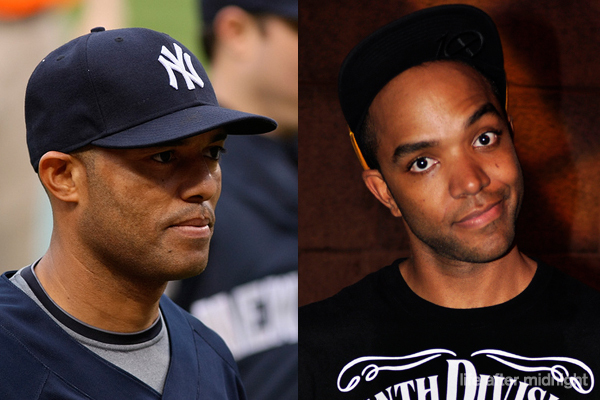 Seperated At Birth | Mariano Rivera and Scott Sasso? So over the course of the last few months I have been following the Yankees quite regularly. I am not sure if it's because subconsciously I feel as a resident of New York it is a mandatory thing to do or if I am actually beginning to enjoy watching baseball. But as the season has transpired I am convinced that Yankee closer Mariano Rivera and 10.Deep founder and owner Scott Sasso were separated at birth. I know it may look like a bit of a stretch but every time Mariano steps onto the mound I am positive that Scott has traded in his 10Deep ensemble for a Yankees get-up. Come on, a little bit?